SIZES: Premium Headgear is available in two sizes. 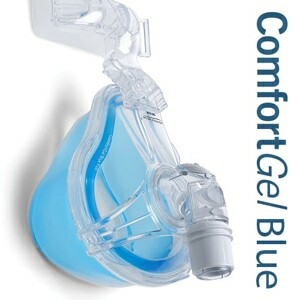 The Standard Size is provided with all ComfortGel (Original) NASAL, ComfortGel BLUE Nasal, and ComfortFull 2 CPAP Masks. The Reduced Size 'RS' Headgear is approximately 25% smaller and is available as an alternative for any mask that is compatible with Premium Headgear. Premium Headgear is compatible with most Comfort Series masks. its not my first experience with this seller and I couldn't be better served - everything - price ,quality of product ,delivery, consumer support was simply perfect. Hold on ! I received them very quickly. They work very good at 1/3 the price from Apria. I will order again when I need new headgear. The old design for the headgear had strong Velcro and elasticity. Great product. The new design has very little elasticity if any and the Velcro is weak and does not hold. After adjusting the headgear strap about 3 or 4 times the Velcro barely holds. Terrible product. I suspect Respironics is saving some money with the new design but the consumer is losing out. Great supplies available. Good pricing and fast service. The old universal headgear had more elasticity to it. The straps were more flexible making the fit more comfortable. Unless they change it back I have to find another solution. I cannot use it the way it is. This product was a great fit. I ordered the smaller size and I can't believe how well it fits compared to the original one that came with the machine. The headgear strap for my portable CPAP machine had worn out, and I ordered a replacement from DHM. 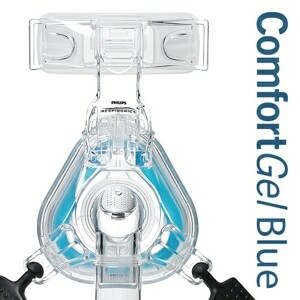 It arrived super-fast, and now my CPAP machine works as well as it did when I first bought it. It apparently has to be not-quite, but almost tight to the face for optimal performance. I am very pleased with the strap and with the customer service that I received! My old head gear was falling apart, this is an excellent product that was delivered faster than I anticipated. The head gear should be redesigned so it would last longer than a few months. I expect that if I pay good money for a product than I should get my money's worth. This purchase was to replace my worn out head gear --- I had used it for years and it had finally stretched out...but it sure lasted a long time. Having the new head gear is such a pleasure; firm yet stretchy and I no longer am having the mask leakage that I was suffering with using that old head gear. I bought two this time, so I can have a backup when washing one at a time. Head gear was better then the one that came with original mask. I had more length to tighten the straps. Was very satisfied with the full face mask head gear, and the timely service. Overall, this is a nice bipap replacement strap. It has great elasticity and molds to the head very well. My only minor complaint is that it lacks the top adjustable strap that comes with the original mask which I like because I have a smaller head. Does the job, but will not last. This harness works pretty good, Easy to replace, washable. but after a few months of use it is falling apart. The reduced size head strap deffinently helped keep the full face mask in place. My client wears his bipap a minimium of twelve hours a day, he has COPD. My only complaint is the velcro strapping curls and starts to lose adhesion after five or six weeks. Even after washing there is no noticable improvement. This is an excellent product. Previously I used regular size which unnecessarily long and tend to fold at night and irritate the skin. 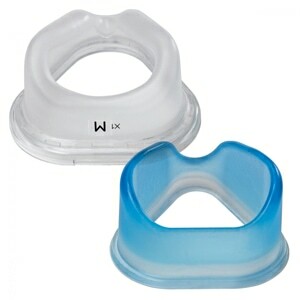 The reduced size hold the mask firmly and yet very comfortably and stays in place during sleeping movements. 'Direct Home Medical' is an excellent supplier of these medical products. They are helpful on phone and very customer friendly. Received quickly, fit perfectly. I got the Patriotic headgear and it looks great! Good product. Lasts several years as I have several that I rotate use. Always a pleasure dealing with Direct Home Medical! I love my sleep mask. It is so restful, most nights I do not dream, and awake ready to play middle linebacker for the day. When they fit you for a mask, I think they over look the fact that it will not work if your mouth falls open. The nurses seemed to think that was funny when I was being fitted. I asked, and none of them had even slept with a mask on. Go figure. Just like in a good marriage, you have to keep your mouth shut. So, I have made my own device to hold my mouth shut, consisting of the dome of a base-ball hat, and some commercial grade Velcro. The headgear strap has a limited life time and I eventually have to modify it by adding some stronger velcro fasteners. So if there were an improvement, I would ask for industrial grade velcro. Oh, the "Premium Headgear with EZ Peel Tabs for Various Comfort Series CPAP Masks" works very well. I give it an 85, it's got a good beat, and easy to dance to. Direct Medical has been an amazing place with which to do business. The prices are always great, the delivery time is usually amazing and the website is in the good to very good category (the only issue is the rather poor browse taxonomy and the time it takes to locate the product(s) you need). This strap is better quality than came with the one my mask ships with. Direct Home Medical is the place I've been buying from every since it came in a Google Search. Great Company and this a great product - I have to make my strap fairly tight and this strap has lasted twice as long as the original. This headgear fits exactly as advertised, exactly as it's supposed to. 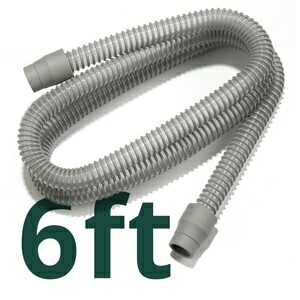 Since the headgear is the part that wears out quickest, buying this alone is the smart way to keep the CPAP mask working right. I'm buying another one, to have an extra on hand. It fits perfectly. It works. I'm happy. I wish there were more. It's just hard to get exited about a Velcro strap (unless you're really into that sort of thing). I really like the premium headgear. 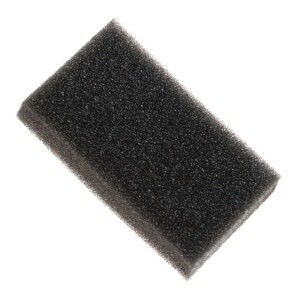 Velcro is perfect and strap functions as designed. These last me about six months before the neoprene begins to separate.